The 2015 semiconductor market finished with a 0.2% decline from 2014, according to World Semiconductor Trade Statistics (WSTS). Optimists will round this to flat with 2014. The flat 2015 follows healthy 9.9% growth in 2014. Going into 2015, forecasts were in the range of 3% to 11%. 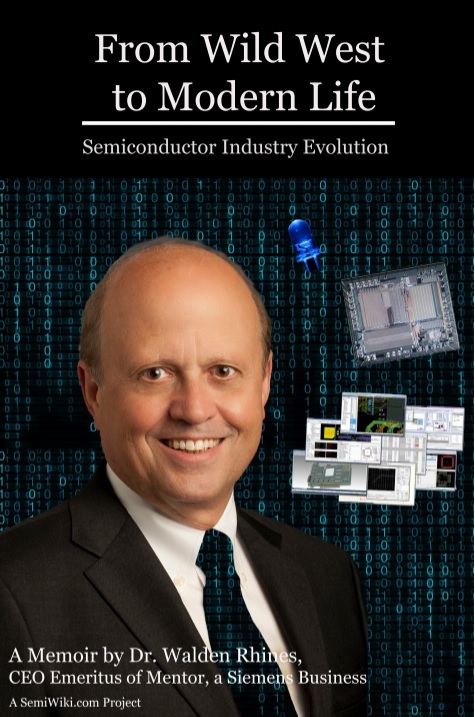 We at Semiconductor Intelligence were at the high end, with our December 2014 forecast at 11.0%. The lowest forecast was from WSTS in December 2014 at 3.4%. Thus the WSTS forecast came closest to the final 2015 number. This is based on available 2015 forecasts released in the few months prior to the release of the January 2015 market data from WSTS. The fourth quarter 2015 semiconductor market declined 2.8% from the third quarter, the largest fourth quarter decline in four years. The outlook for the first quarter of 2016 looks weak, based on revenue guidance from major semiconductor companies. Of ten major companies providing guidance, nine expect revenue declines in 1Q 2016 versus 4Q 2015. The declines range from a slight 0.2% from Renesas to an 11% decline from MediaTek. Infineon was the only company projecting an increase at 3%. Samsung did not provide specific revenue guidance for its semiconductor business, but expects “slow demand under weak seasonality.” The recent NXP/Freescale and Avago/Broadcom mergers do not allow for comparable revenue guidance for these companies. The weighted average guidance for the ten companies is a 6% revenue decline in 1Q 2016. Most of the companies provided a range of guidance for 1Q 2016, with a weighted average worst case decline of 10% and a best case decline of 3%. Recent forecasts for the 2016 semiconductor market range from a 1.5% decline from IBS to a range of 10% to 14% growth from Objective Analysis (shown as the average of 12% on the chart). Our latest forecast at Semiconductor Intelligence is 3.0% growth. We are assuming a decline of about 5% in 1Q 2016, healthy quarter-to-quarter growth in 2Q 2016 and 3Q 2016, and a mild seasonal decline in 4Q 2016. The declines in 4Q 2015 and 1Q 2016 will make it difficult for the 2016 semiconductor to grow above mid-single digit rates. However there are signs the 2016 semiconductor market will be stronger than 2015. Gartner’s January 2016 forecast calls for the combined PC and Tablet markets to rebound from a 10% decline in 2015 to a modest 0.8% decline in 2016. Gartner expects mobile phone growth to pick up slightly from 1.6% in 2015 to 2.6% in 2016. The January GDP forecast from the International Monetary Fund (IMF) projects 2016 World GDP will grow 3.4% compared with 3.1% in 2015. Although China’s GDP growth is expected to slow from 6.9% to 6.3%, this is more than offset by accelerating growth in advanced economics (including the U.S., Euro area countries, and Japan) and improved growth for emerging economies such as India and Southeast Asia. The latest data from December 2015 on electronics production by country shows China growing at around 10%, slightly slower than in previous years but still a strong rate. The U.S. has picked up to 6.5% growth from below 1% growth in early 2015. Japan and Taiwan are showing declines in electronics production, but the declines are less severe than earlier in 2015. China unit production of key electronic devices rebounded at the end of 2015, as shown below. Mobile phone unit production three-month-average change versus a year ago peaked at 25% in mid 2014 before sliding to double-digit declines in mid 2015. Mobile phone growth climbed to 15% in December 2015. TV unit production growth was 13% in December 2015 after averaging low single digit growth in the first half of 2015. PCs are the only key electronics category which has not recovered, with December 2015 down 15%. The weak PC production in China is due to a weak PC market and PC production shifting to other countries such as Mexico, India and Vietnam. 2016 will not be a strong year for the semiconductor market, but all key indicators point to a better year than 2015.